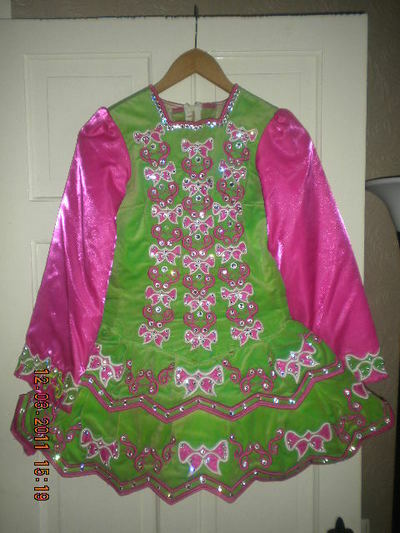 Stunning shauna shiels design pink pattern dress on green velvet bodice with bright pink organza sleeves complimented with over 400 genuine swarovski diamonds. 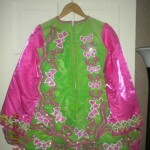 dress was worn by the current An Comhdaill U13 Ulster Champion and she has had amazing run in this dress. Dress never been altered. minimum of 1″ let down / let out all round. 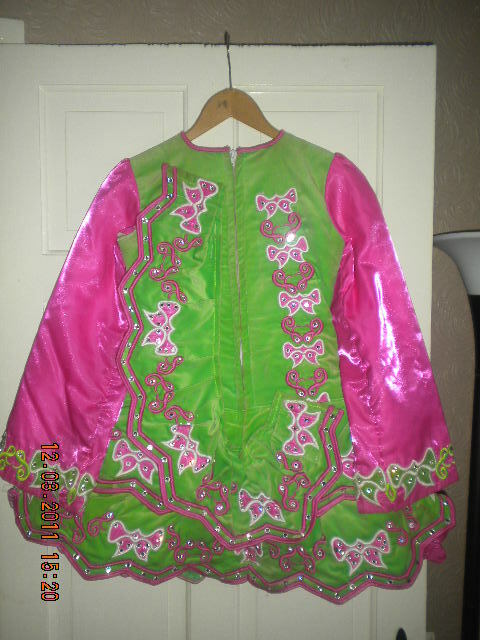 Asking Price: Â£600. Shipping costs not included in the asking price. Sale is final.